The Lake Country Microfiber Polishing Pad will help you remove light to medium imperfections fast and easy, all while leaving behind a fantastic finish! This is truly an incredible pad that will help any detailer improve their results in less time. Whether you are looking to perform a one-step polishing process, or following up a heavy correction step, these Polishing Pads will help remove light imperfections and haze while providing clarity and depth. In the past, other detailing companies noticed the need for something better and microfiber pads hit the market very fast. Lake Country took the time to develop these pads, tweaking them for optimal performance over a long period of time and lots of testing. These Lake Country Microfiber Polishing Pads feature a special blend of soft microfiber materials, which helps perfect the finish without producing haze. 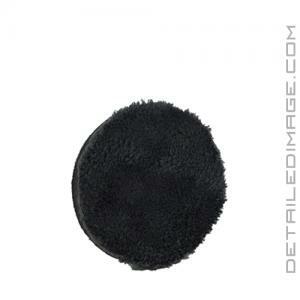 Unique microfiber materials are packed into an 11mm thick pad backed with sturdy, yet soft foam. This gives the pad both a thin profile and forgiving cushion, which increases durability and offers ideal rotation on contoured surfaces. The fibers on the face of this pad have minimal overhang and mat down less quickly, which reduces operating temperature, increasing overall polishing results. The user experience with these pads has been incredibly positive and we're confident professionals and weekend enthusiasts are going to love it. If you are looking to make your paint stand out, look no further than the Lake country Microfiber Polishing Pads! Very durable and yielded great results.